An aspiring sportsman. Mason loves playing all sports but right now he’s into Lacrosse. It’s a rough game but he’s a tough kid! He loved riding the go-cart when they came to visit us this summer. This go-cart has been in our family since our own kids were kids! Mason Gerald, named after Grandpa! The only grandchild named after him! There’s a bond between them. This picture was taken a few years ago and I love it! 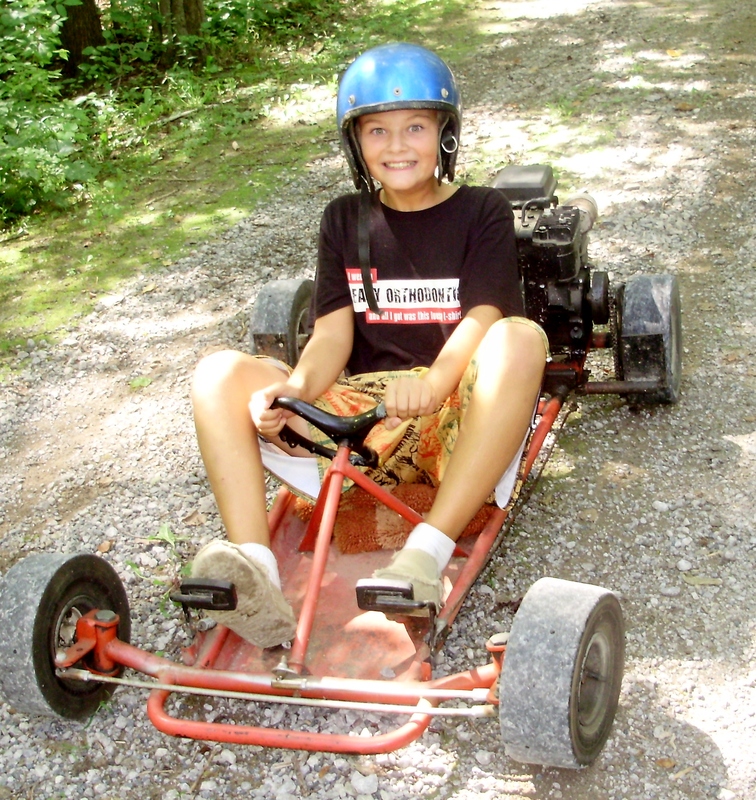 This entry was posted in Childhood, Family, Go-cart, Grandchildren, Grandchildren Profile and tagged Family, Go-cart, Grandchildren, Grandchildren Profile, Michigan. Bookmark the permalink. 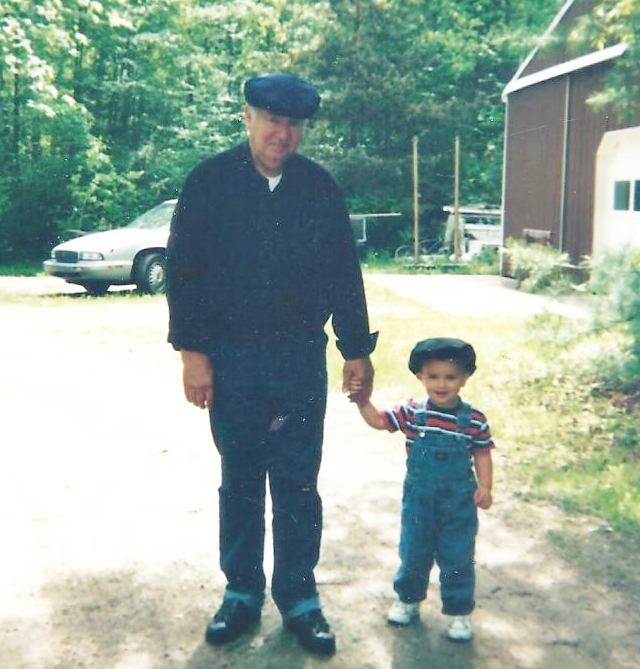 What a keepsake picture…love it! Thanks for your comment, Iris! I love it too.